A 56-percent increase in the number of foreign prisoners in the last decade has caused Finnish detention facilities to develop their electronic communicating capacity. Digital services have been piloted in prisons for some six months. 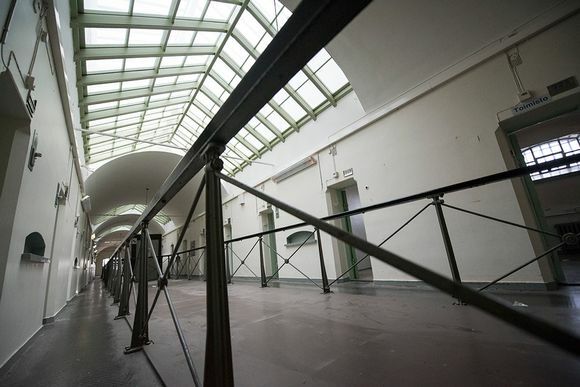 The proportion of foreign inmates in Finnish prisons has increased by 56 percent in the past decade. The rise is related to the prison system's ongoing digital leap, which is currently in its pilot phase following a 2015 legislative amendment. Services such as video phone calls, email, online banking and applying for work or housing through the internet are under development. The first computers intended for such use were instated in prison units last November and December, and all Finnish prisons will likely have the necessary hardware by May this year. Laptops and digital services have been tested in Oulu Prison for two months. Deputy prison director Tapio Iinatti from Oulu says that difficulties in arranging supervision have limited the use of computers for online use. However, the demand for such a service is real, he says. "Banking is probably the most called-for service," Iinatti says. "But we've been aware that Skype connections may soon be relevant, especially relating to foreign inmates." Problems such as acquiring Skype IDs and poor connections to other countries persist, the deputy director says. In 2016 the proportion of foreign inmates was 17.2 percent, rising slowly but surely in previous years. Today 20-30 percent of prisoners in Oulu are non-Finnish, even more in Riihimäki at 30-40 percent. The central idea behind the increase in digital services is the so-called principle of normality, meaning that life in prison should resemble life on the outside as much as possible. With all of Finnish mainstream society living in the digital age, prisons are obliged to do the same. The leader of the electronic service development project, Samuli Laulumaa says that this is only the beginning of a nationwide reform. The next questions concern the type of network to be established, the services needed and the schedule. "We are considering establishing a prison intranet that we could monitor in real time and stock with a variety of services," Laulumaa says. "This pilot phase will tell us much about the prerequisites for such a network." Competitive bidding for the network design will be initiated in April. Laulumaa says the new intranet changes will bring both challenges and opportunities. "A big question is how to provide an email service that we can also supervise effectively," he says. "[Instant messaging application] WhatsApp is another good idea because many already know how to use it. It could be used to provide information on sentences and also work as a communication tool between inmates and the Criminal Sanctions Agency." The agency is cooperating with the Legal Register Centre and the Government ICT Centre on the project. The first steps were taken in prisons in 2015, when a new law change made it possible for prisoners to receive emails from outside – though only in printed form and without the opportunity to reply. New developments often also involve risks of exploitation, but Laulumaa remembers just one minor situation over the course of the pilot phase. "I recall it had to do with an inmate registering two conflicting Skype call recipients, or more recipients than originally declared," he says. Oversight is key, and all communications are closely monitored in real time by prison personnel. Iinatti says that there has been no misuse at all in Oulu Prison, for a simple reason. "When people are given the opportunity to engage in something they consider valuable and important to them personally, misuse is extremely rare," he says.